Derren Brown is Britain’s most celebrated illusionist and magician who has gained worldwide fame for his seemingly psychic abilities and has been dubbed a “real-life Jedi master.” Derren has stunned audiences with mind-blowing performances (such as his Russian Roulette stunt on live TV, which has nearly 3 million views on YouTube) and has been called “Britain’s answer to David Blaine.” One quick search on YouTube and you can spend countless hours watching his performances that will leave you wondering for days. What Derren is less known for is his study of philosophy—specifically the Stoics—and the fact that he wrote a whole book about it: Happy: Why More or Less Everything is Absolutely Fine (which the great Alain de Botton raved about). But of course less known hardly means less impressive. We were very excited to interview Derren and got to ask him about his own Stoic exercises that help him day-to-day, about his research process, his criticisms of both Stoicism and today’s self-help industry, and much more. 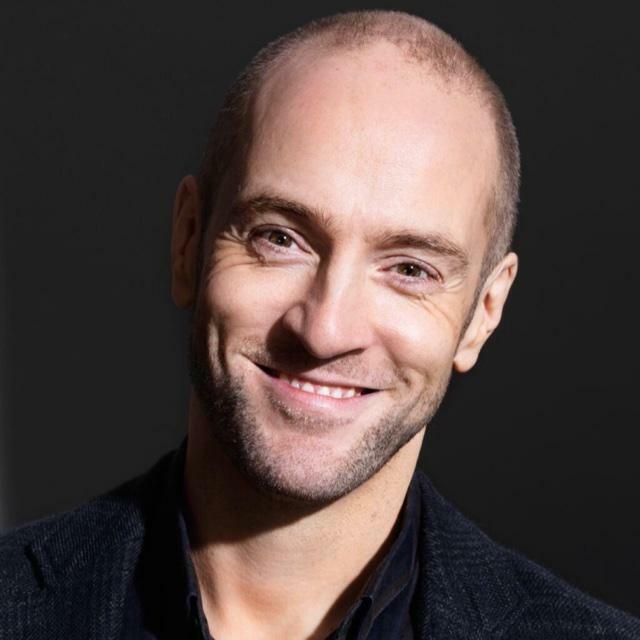 Derren’s thoughtful answers are wonderful to read, and you are welcome to join the 2.4 million people who follow him on Twitter to stay up to date with his work. Stoicism is at the heart of your book Happy. Can you tell us when did you first discover the philosophy and what was your first impression? Why did it resonate so powerfully with you that you were inspired to root your book in it? I discovered the Stoics through reading Montaigne. I stopped halfway through his volume of essays to find out who this chap Seneca was that he kept mentioning. Certainly he seemed to have appealing ideas. From there I discovered the world of the Stoics and the wider Hellenistic context. It resonated with me in the way that things tend to when they articulate something that stirs within you but has never found a voice. As someone who had come into performing and TV and so on without any ambition beyond being able to enjoy the here and now, it was a huge relief to read that my modest preferences weren’t just childish or somehow lacking. It’s easy to feel like a kid in a world of grown-ups when you’re a performer surrounded by producers and the like. Likewise I have never suffered from any real stress or anxiety, and it was enlightening to read a philosophy based on means of avoiding it. So it wasn’t therapeutic in the obvious sense, but it resonated deeply with my own way of life. You’ve said that Happy should be categorized as “an anti-self-help, self-help book.” What is your view of the current self-help literature and where do you think they fall short? What were you trying to accomplish with yours? I had internalized the thinking of the Stoics and built on and fleshed out my own undeveloped thoughts on the matter of what happiness might mean. I felt they offered a much more helpful message than the nonsense of ‘believe in yourself and set goals’ and so on, which leads to so much feeling of failure and confusion. I wanted to offer a therapeutic message that I felt was of far deeper worth than the panicked and ill-thought through messages we are fed today by that self-help world. You’ve spent more than three years of research writing this book. What are some rabbit holes that you found fascinating and immersed yourself in them? What have been the most important ideas that you discovered during that process that made it into Happy? I was so impressed again and again by the wisdom of not trying to control those things you cannot; by the mantra of ‘It’s fine’ in the face of how things are working out beyond the limited remit of your thoughts and actions. A recurring theme in the book is an x=y diagonal in life: of how our aims and goals balance out with what life throws back at us. When Freud created psychoanalysis, he had no intention of making people happy: it was to restore ‘natural unhappiness’. Life, he felt, warrants some pessimism. Nowadays we look to be unnaturally happy and we worry that we’ve failed if we’re not. The Greeks lived and breathed all this because they of course understood tragedy. Today, we pretend that fortune doesn’t exist or wield any power, and thus we end up with a very inflated attitude towards our desires and how the world should accommodate them. Take The Secret for example. It’s an extension of the infant’s urge to scream out and expect the world to provide. That’s no way of being as a grown-up. However, I finished the book with a sense of where the Stoics might fall a little short, and this has been most instructive. They offer a very robust sense of self, and at the same time an easy relationship with fate and fortune and an effective means of avoiding disturbance. These are hugely helpful things. But there are some important points, which I think one can also keep in mind, without discrediting the Stoics at all. After all, growing up is all about tolerating ambiguity, isn’t it? Realising that the story we tell ourselves is not the truth. So I don’t think it needs to undermine a general appreciation for Stoic methods to entertain some thoughts that are complementary, even occasionally conflicting. Conflict of ideas only matters if one is determined to be rigid, which is not a great place to be. So firstly, Martha Nussbaum’s note that rather than being a Stoic rock standing strong against the crashing waves, why not be a porous rock, through which the waves can roll and flow? The Stoics talk of sentry guards, of being poised and ready for attack: I think there is a less tense approach where we can retain the robustness but move in more easy accord with circumstance. Flow, porousness. This leads me to the second point: the Stoics are not hot on openness, compassion, community, love. It is so important, I think, to find ways to ‘unself’ (Iris Murdoch’s term), to get out of ourselves and connect with something outside of one. Things in life seem to always get better if we don’t make them about us. You’ll do a better job in any field I can think of if it isn’t all about you. And we should seek out and find those feelings of open connection, where we can meet the world with love. We’re probably at our best during those times, and happiest, are we not? The Stoics don’t quite give us that: it’s sort of there, but it’s not their strong point. So I think if we can combine a Stoic starting point with openness and connection towards the world, then we’re in a good place. Thirdly, I’m not convinced that avoiding disturbance is always a good thing. How, after all, do we move forward and develop in life? By recognising anxiety. We don’t leave our job and get a new one unless we accept it’s making us unhappy. We don’t cross the road on our own without letting go of Mummy’s hand. We are unlikely to find the person who is right for us without first embracing the fact that our current partner isn’t. There are many times when we are well advised to accept anxiety and let it sit, rather than always avoiding it. Rilke talks about how some people live in a large, room, others in a small room, and others just stay by the window. Stoicism can lead to that: if we avoid all anxiety, how to we ever move forwards, live largely, find meaning and develop? Again, this idea is not incompatible with Stoicism (the first Stoics were from the East of course, so a sort of mindful acceptance of anxiety is in there), but it’s worth bearing in mind. I speak as one who is so adept at avoiding stressful situations that I recognised myself in Rilke’s seated, static figure. Do you regularly practice any Stoic exercises to help you navigate your day-to-day? Do you have physical reminders of Stoic ideas around you, do you constantly recall certain quotes, specific questions that you journal over, etc.? I do reflect on my behavior – I know I let myself down in the stressful situations that arise when you’re performing. It’s not quite a nightly retrospective meditation but I do remind myself. The biggest thing for me is, when I find myself irritated or feeling annoyed, to let that thought sink in: ‘This is fine. It’s actually fine’. It always is, of course. It’s fine because it’s (at least for the most part) nothing to do with me. Even if it takes a while to properly take root, it guides me to better behavior with the people in question. I can at least fake it for a while and act accordingly, because I know intellectually that it’s the case before I feel it. Without that yardstick, we’re so vulnerable to the well-meaning efforts of our sympathetic friends, which tend to inflate our annoyance. Do you have a favorite Stoic? My soft spots are for Marcus and Epictetus, and later, Schopenhauer if we can extend the parameters a little. And my puppy Doodle. When she pulls something over and it falls on her, she jumps for a moment and then carries on with whatever she was doing before. If a sofa-chewing beagle-basset cross can be a Stoic, she’s a good one.